Jumping on a bobcat and digging a trench or excavating a piece of your land may sound like a quick and simple job, but excavations and trenching can be more complex than you realise, and without the necessary skills to complete the job properly, you could be facing extra costs, time and need to return to the job multiple times to keep fixing any issues that arise. What you may not know is that our team at Stoney Pinch undertake the specialised training involved in excavations and trenching. Our team need to do this for each machine in our fleet so that we can provide every single client with the comfort that we know what we are doing in this specialised field. 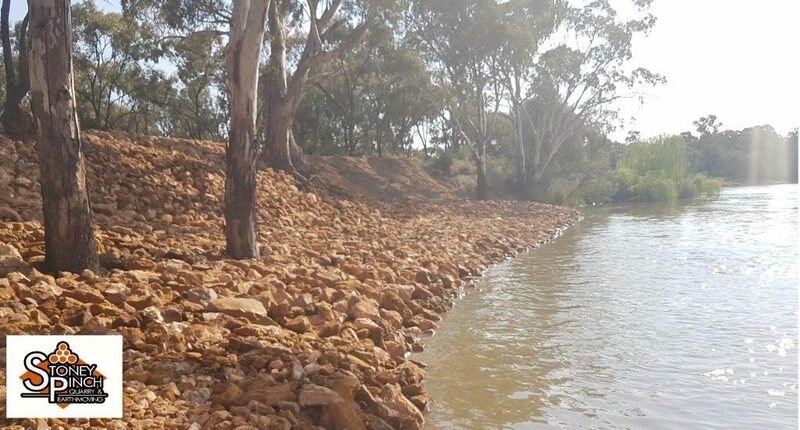 So, if you need to excavate or trench, you need to call the team at Stoney Pinch to provide you with quotes to get the work done on time, to budget and with the expertise second to none across the Adelaide and Riverland area. If you really want to take a stab at trenching yourself, please read on for the common mistakes to avoid when working through your project. You can rent trenching and excavating equipment, often from the local hardware store. What happens when you rent a machine that only handles dirt and you hit bedrock? It means you are not only paying for the rental, you are now paying for the damaged or destroyed parts. Then you are paying for the right equipment for the job and in the meantime, you have paid for lost time. You need to know what equipment you need before you begin, an excavating specialist like Stoney Pinch would be sure of that before we arrive on site to begin work and we would have all of the necessary equipment with us before we break ground. In an absolute worst-case scenario, someone could be seriously injured or in truly unlucky cases killed due to the lack of experience and skills on dangerous equipment. All it takes is hitting electrical lines with the bucket on an excavator and not only is the machine no longer operational, the operator faces the same fate. On a lesser note you could also bit a water line or worse, sewerage. Both of these can be costly to the hip pocket and to your project timeline. Without the proper skills and experience, operating heavy machinery can be very dangerous. Be wary of the friend who ‘knows how to work the machines’ but doesn’t do the work for a living. There’s a big difference in cost and time to you and your project. Unless you know the local laws with respect to animals, contamination of water supply and local council regulations, you may also add legal issues to the project. Be wary of working too close to your neighbouring properties. Particularly when looking to take soil away. If you and your neighbours are on sloping blocks, you may find taking away the soil on your side of the fence compromises the retaining wall they have in place to stop water and soil from their property entering yours. Not to mention the potential for damage to fences. All of which would be at your cost, not the neighbour. There are a lot of dangerous parts to excavating and trenching, and in most cases, doing the work yourself is simply not worth the hassle; particularly larger projects. In most cases, it’s best to call licenced and trained professionals like Stoney Pinch to complete the project for you.